A resume is a formal document that is ought to present an applicant’s profile in terms of relevant skills, educational background, experience and more. It is an essential tool in every applicant’s search for a job. A good and well-written resume profile increase one’s chances of earning an interview for a job. The purpose of every resume is to summarize all the qualifications of an applicant fit for a certain job position. It is implied in every resume objective that applicants get to impress hiring managers and employers. A resume is indeed an applicant’s ticket to an impressive participation in a hiring process. Any resume used to apply for different jobs should require one thing in the very first place. To be straightforward, it has to be written with comprehensive and relevant applicant information. Objective – Aim for a positive impression at first glance by providing a good objective at the beginning of your resume. Nowadays, most modern resume templates focus on including an objective component to establish relevant applicant intentions. Job Description Keywords – It is important that employers come across job description keywords in a resume. This is an essential component that should never be missed out when sending out a resume to prospective employers. By mentioning expected keywords, employers would know what to expect from an applicant. Relevant Skills and Experience – A good match is always an impressive one. In writing a resume, be reminded not to stray away from the skills and experience that you include. Every information that you provide should all be relevant to the job description. The best executive resume templates focus on the said component. Overall, a resume seems to be something easy to do. It is only when it is actually written that things tend to get a little confusing and difficult to most applicants. Let these do’s and don’ts serve as reminders for you when you write your own resume. Do have an initial preparation. Forget about the actual resume first and gather all the information you would want to reflect in your resume. Initial preparation could include reviewing different HR resumes or perhaps a generic resume in order for one to know what to write down. Don’t overdo your resume. This is a general tip that could definitely be a lot of help to every applicant. Every employer could spot which resumes are poorly written. 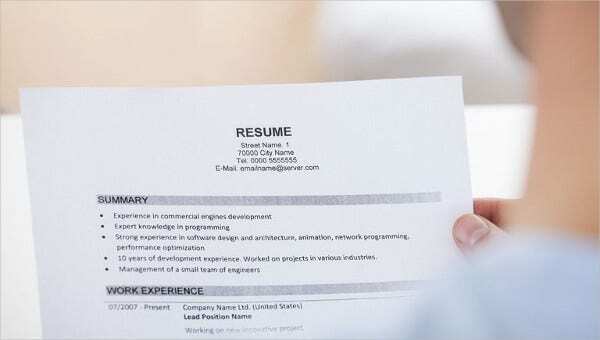 Blank resume templates could be a guide to help you avoid overdoing your resume. Do observe professionalism. Apply professional tone when writing your objectives and other relevant information. Don’t be inconsistent. Be it your resume format, structure, or information order, always put your resume together with utmost consistency. This way, it would not be difficult for employers to comprehend what you want them to evaluate. A resume could be the only tool to help you get through the job-hunting stage. Write your resume in a way that it captures any prospective employers in terms of neatness, presentation, and consistency.